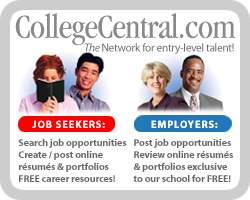 Career Services | Eastern Wyoming College - Eastern Wyoming College - It's A Great Decision! Need help with writing your resume or preparing for an interview? Do you want to explore career paths to find the best fit for you? Are you ready to look for a job? Wondering what it takes to be successful on the job? Getting Started Packet – Many of the items listed below are included in the Getting Started Packet, PLUS a Getting Started Handbook. This 8-page booklet is designed to help you compile all of the information you will need to fill out job applications, write your resume and prepare for interviews! Stop in today and pick up your Getting Started Packet, including the Getting Started Handbook!